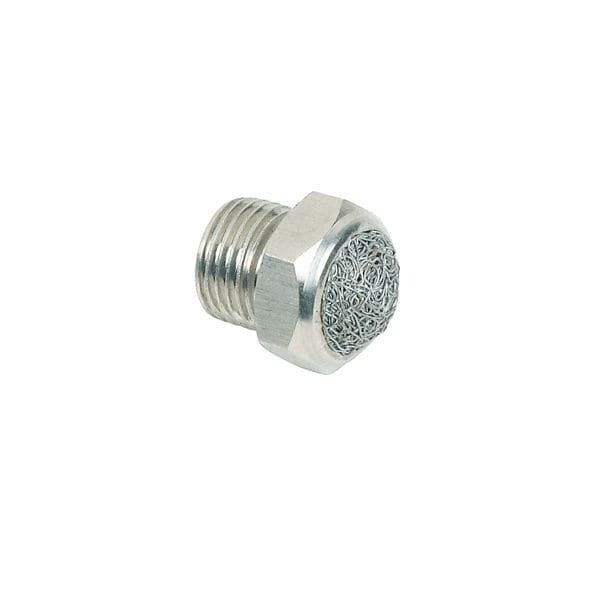 Stainless steel screen breather vent is made of stainless steel and the special screen filter is formed by stainless steel wires offering very high mechanical resistance and long life under high pressure. Stainless steel wire screen can be easily cleaned by reversing the flow of the filtered matter. Stainless steel screen breather vents are widely used on the exhausts of valves to reduce the noise and prevent metal chips, abrasive grits, dust and other contaminants from entering open exhaust ports and causing premature valve failure. Sintered bronze silencers are made of sintered stainless steel powders. External tightening with a flat wrench or socket wrench.